If you are running a delivery company, it is important that your operations are as smooth as possible, and you get rid of the bottlenecks in your supply chain. If you are not using an advanced system to measure productivity, performance, on time deliveries, and customer satisfaction, it might be time to get started. Below you will find a few tips on how to make your operations simpler and run like clockwork without you micromanaging it. The first thing you have to invest in is employee training. No matter if you would like to save money on fuel and would like to get a fleet training delivered to your staff, or want to make sure that all your drivers have the customer service skills they need to do the job, you will need to ensure that you are helping them make the most out of every process they complete. From teaching them how to stay safe on the road, avoid accidents, and spot issues with their vehicles to communication and collaboration, there are several training programs your drivers could benefit from. It is important that you monitor your employees’ performance, no matter if they are sitting in the back office trying to manage the workload, talking to clients, or driving your delivery vehicles. It is crucial that you have a system in place that gives you easy to understand reports on how to improve your safety record, on-time delivery, and customer satisfaction, You can send out a questionnaire automatically to your clients, after they have received their delivery, so you can rate each employee according to customer feedback, too. It is hard to stay on top of multiple projects, and your fleet management system should work with your CRM system, so you can send out automatic updates. In the 21st century, you have absolutely no excuse not to inform your customers about the updates on their orders and keeping them in the dark. No matter if you are using automated calls or text messaging, you will be able to improve customer satisfaction and loyalty, too. If you are too busy doing the work and managing your workflow, it is important that you don’t spend too much time on unproductive tasks that can easily be automated. If you would like to create a consistent brand message and stay in touch with your potential or current customers, you will have to make the most out of the technology out there. You can talk to a branding expert who will automate your social media messages and improve your online engagement levels on a budget; you will certainly be able to use the extra time you created. If you would like to maintain your reputation and improve your digital marketing and conversions, you will need to focus on creating trust. That is why testimonials should be displayed on your social media pages, your website, and your blog posts. Your clients want to know that you can be trusted with their order or delivery, and you have done similar jobs. Social proof is a great branding and marketing tool; make sure you use it to your advantage. If you are transporting goods in your business, it is important that you have adequate safety and policy documents in place. No matter of all your drivers have gone through professional training, it is your responsibility to keep their skills and knowledge up to date. After all, they are representing your business in front of the customer, and the public. You will need to ensure that they are supported and trained to do the job, give them time to relax and have a rest, so your can comply with the regulations of your industry. To keep your employees engaged, happy and productive, you will need to measure their performance and hold regular appraisals. You can never be too busy to sit down with your employees and find out what they need help and support with, or discover their special talent that makes them a suitable candidate for a new management position. You will also be able to check that they are on the same page when it comes to health and safety guidelines or their regulatory training needs updating. If you are looking to increase your capacity, you might want to simplify your processes in your workflow. There are several things you can automate, such as assigning deliveries, sending routes and instructions to the driver, updating the customer, or reassigning jobs, You don’t want to micromanage your company and jump on the phone when one of your drivers falls ill and you are trying to avoid late deliveries. There is surely a system out there to handle all that. You cannot keep track of all the deliveries manually, and there is only so much information you can record on the system. 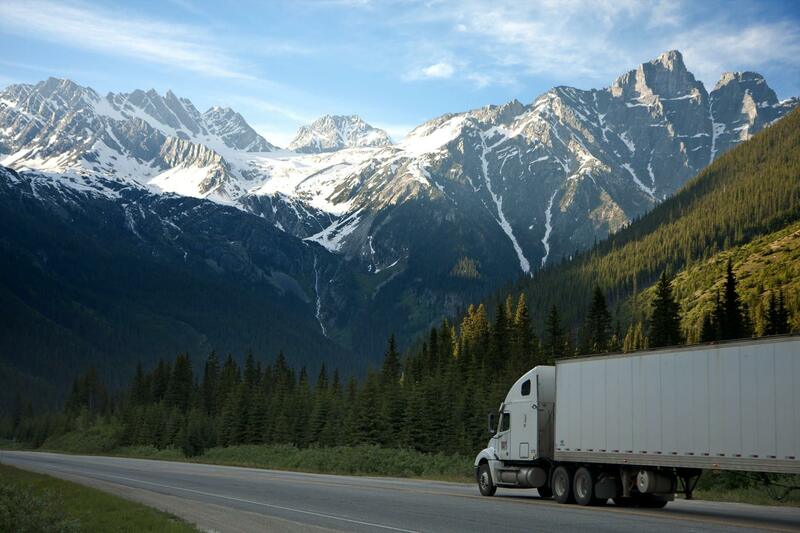 If one of your customers calls and is asking for an update on their shipment, you will need to make sure that your staff can see exactly where the vehicle is. You can get a gps fleet tracking system set up, so you can find every vehicle on the map and get in touch with the driver if there is an urgent pick up in the region. At the same time, you can also ensure that they are not driving in a dangerous manner with your name on the truck. If you want to make sure that health and safety and quality guidelines are followed in your company, it is important that you make every employee take responsibility for their actions. While you will need to do spot checks and make sure that everyone is on the same page, you will have to create a sense of ownership, too. Managing a delivery company can be challenging. Take advantage of the latest technology to manage your workflow productivity, safety, and compliance better and improve customer satisfaction.